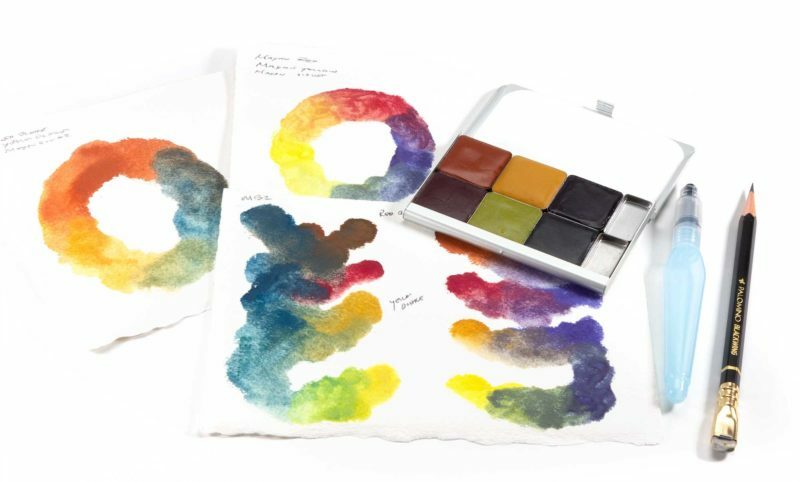 I am so excited to collaborate with Greenleaf & Blueberry to offer a limited edition Pocket Palette with a set of their artisanal handmade watercolors. Greenleaf’s founders Jess and Matt are passionate about art and adventure, and dedicated to creating natural lightfast pigments using the traditional muller-and-slab method. The six colors we chose for this edition span the color wheel with high chroma and earth toned primaries: Red Ochre (a smooth sienna), Mayan Red (cool bright cool red), Yellow Ochre (a warm earthy yellow), Mayan Yellow (cool yellow that can be intensely layered), Mayan Violet (high chroma blue-violet), and Mayan Blue #2 (a cool high chroma blue that mixes clean bright greens). 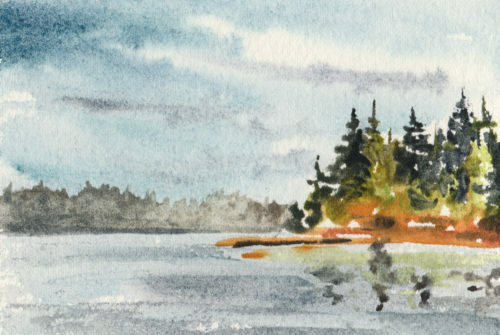 The watercolors are exquisite and a joy to explore on paper! One quality I love about these pigments is their tendency to granulate, creating beautiful textures. To paint with these feels much more tactile than my usual Daniel Smith paints, they are organic, intimate, and individual. Mixing three of the primary colors together creates some beautiful greys and neutrals. 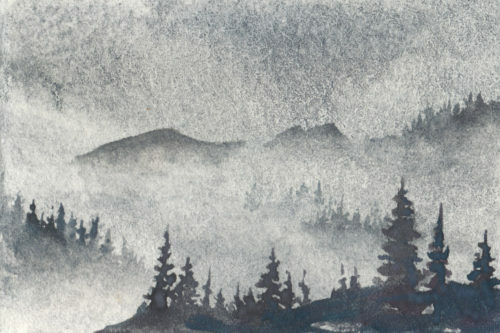 For this misty mountain study, I used Mayan Blue #2 with Mayan Red and Yellow Ochre. When applied at full strength, the pigments can be quite opaque. Here I experimented with warm tones, trying Mayan Red, Mayan Yellow, with a touch of Yellow Ochre. For the darks, I brought in Mayan Violet. You can really see the textural qualities of the pigments here. Finally I played with a sketch inspired by the view from my town of Port Townsend. Here I used the blues for a midday sky and mixed various greens. There’s a huge range of what is possible with these beautiful six colors. We are offering this special palette as a Limited Edition, available in our Shop starting 9am Pacific Time December 1st. description of these handmade paints. I’ve been following greenleafblue for some time. Do you ever come to Northern Nevada? I live inCarson City, which is 30 minutes from Lake Tahoe & Reno! Thank you, Joan! I’ve never been to Nevada, we live in different climates. 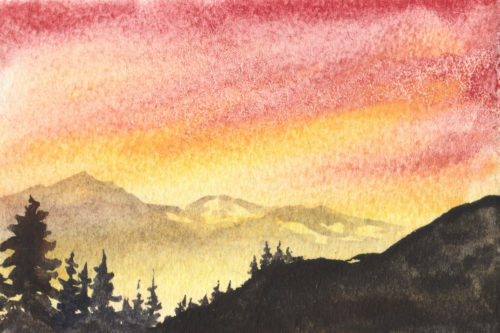 :) Enjoy your plein air adventures! Painting nature helps me see and notice it in ways I might otherwise over look. For the Greenleaf & Blueberry special edition, which time zone are you basing 9am on? Hi Melodee, 9am Pacific Standard Time. I’ll edit my post, thank you!